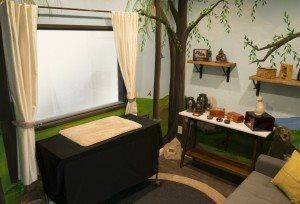 Our facility also features a warm and welcoming viewing room where loved ones can come to say goodbye to their favorite pet. 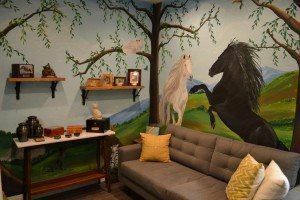 Beautifully hand-painted with a vibrant animal mural, this room can accommodate your private viewing needs by appointment. We can help you tailor your memorial to be the most comforting for you – play soothing music, or recite a beautiful reading. If you have any special needs for your beloved pet such as laying them to rest with a favorite toy, collar or blanket please ask us. Our memorial services are the perfect way to give your recently departed friend a final tribute for all the love and companionship they’ve provided over the years.